was seduced. I finished my pint and my daughter asked me if I would like another. I looked around the comfortable elegant bar and remembered how I had wasted my own days at University. 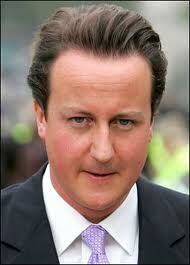 If I ever met David Cameron I would probably find him just as seductive. His charm, attention and easy confidence would tempt me in the same way that the bar did five years ago. This is why it is difficult to compare Cameron to Thomas Parker. We should never underestimate how an English public school education benefits the rich. They may be callous and have offensive views but the seductive elegance has a winning appeal. 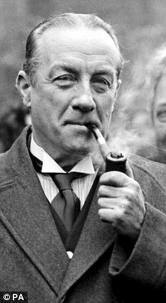 The more obvious comparison with Cameron is, of course, Stanley Baldwin. Both advertised themselves as one nation Tories but both have led governments that inflicted huge damage on the British working class. Now the reputation of Baldwin is low. He is considered to have been too tolerant of high unemployment and is condemned for beginning the tradition of appeasing Hitler. Baldwin was undone by economics and Europe and more than one political commentator has predicted a similar fate for Cameron. Much has happened in British politics since Baldwin but a key development of the last twenty years has been the emphasis on youth. The leaders of the political parties have become attractive actors who are obliged to convince the electorate that they are ordinary just like them, the kind of men and women you would like to meet in your favourite bar. Inevitably, this has weakened representative democracy. The actor soon becomes a puppet and the establishment obtains a firmer grip of the strings it always pulls. Representative democracy is now in crisis as it was 80 years ago. Stanley Baldwin was not its saviour and it is unlikely the charm of David Cameron will rescue us this time either although like Baldwin he may prevail for longer than we would wish. Philip Roth in ‘American Pastoral’ wrote that only two qualities were needed for success in the American corporate world. These were a perpetual smile and relentless energy. He was half right and it also applies to bureaucracies but Roth should have added an ability to operate under pressure and to survive close scrutiny. Cameron has these abilities but, like his New Labour predecessor, they do not make him a leader, merely a highly talented lackey. Those who find it difficult to imagine a Prime Minister as such should picture him as he was the night before the wedding of Charles and Diana. He spent it camped on the pavement outside Buckingham Palace, loyal and faithful. Believers in parallel universes can console themselves with the thought that somewhere Cameron will be obliged to exist as a working class female. I picture him in a Northern working man’s club, impersonating Tammy Wynette and singing ‘Stand By Your Man’. My views regarding Thomas Parker are also uncomplicated. He was incompetent, misguided and to quote Dr Beecher Smith, a Presley Estate Memphis attorney, ‘There were villainous elements.’ The evidence against Parker is contained in the books of Alanna Nash and there is no need to repeat it here. There is, though, a possibility that Parker was more of a lackey than his bravado and bullying manner indicated. I suspect Parker had the same relationship with Hollywood that Cameron has with the establishment whose bidding he served in Brussels. Hollywood had massive economic power and was the priority for Parker. The absence of Elvis from the stage between 1961 and 1969 and the sweetening of his music both in the movies and the recording studio reflected the wishes of powerful film studios. They had a celluloid product that needed selling and wanted no competition from an alternative Elvis. Parker picked sides and he was in favour of those whose ambition was only to make money. The culture of ordinary people and their worth as human beings was not important. For Parker and Cameron, ordinary people exist to help the rich become richer. This was why Parker promoted junk at the expense of quality and why the government of Cameron was so intent on destroying the BBC. Fortunately, the phone hacking scandal messed up the plans of the puppet masters for a private sector monopoly of broadcasting. Of course, what undid Parker was a lack of a plan. He was a promoter and a deal maker and more suited to being the number two in a management team. Indeed, this was the original contract with Elvis. Like Stalin, he leapt above others and, once in charge, he did his damage, signing Elvis to contracts that ensured development was virtually impossible. Cameron also lacks a plan. He is the corporate bureaucrat who when asked for a strategy merely dashes to others and asks them to tick boxes. The responsibility of navigating the economy through a difficult recession he gave to his friend, George Osborne, whose main skill is as a political strategist and whose knowledge of economics is limited. When asked to come up with something visionary David Cameron invented ‘The Big Society’. This concept is so vacuous one wonders about the possible influence of hallucinogenic drugs. The descriptions by Cameron of his ‘Big Society’ resemble a Tim Burton film without the horror although if his plans came to fruition the horror would be real enough – no guaranteed health care, no welfare safety net and employers able to drive down wages to below subsistence level. Few of us anticipate a glorious future for Britain and many think Cameron is qualified to represent a nation that will become increasingly mediocre. His survival skills are impressive and Cameron has vanquished his British opponents. 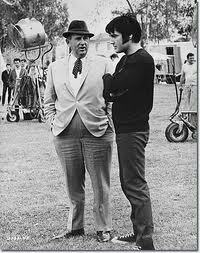 Despite the money and the glory nobody ever appeared to challenge Parker for the job of managing Elvis. There is also a bully in Cameron which has been revealed on more than one occasion in Parliament. This has done him no harm and neither did the same trait in Parker. A bully is not the same as a warrior but the two are easily confused by the British Press. 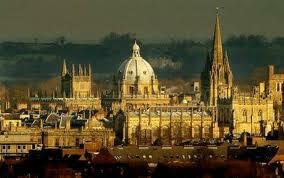 I visited Oxford University nine times in all. Once a term I would spend the weekend with my daughter. The charm of the University wore thin remarkably quickly. Long before my final visit I noticed not just the elegance of remote privilege but its small minded smugness, the bubbles that insulate our myopic elite. I said nothing to my daughter during my visits. I was keen that she stayed motivated and obtained the glittering prize. I revealed my misgivings to her much later, long after the prize was safely stored in her CV. Even then, I was wary that my thoughts would be interpreted as inadequate parental pride. ‘…the bubbles that insulate our myopic elite.’ Apt phrase. Inspired piece, Cameron and the Colonel, what a pair. Thanks for the comments above. The pedants will have realised that the Union bar at Oxford is actually called the Oxford Union Bar. I have been reminded on more than one occasion so there is no excuse for my mistake. Old habits die hard I am afraid. Cameron and Parker are evidently two of a kind, particularly agree with the bully-boy observations that are made. It just goes to show that no matter how austere or grand your surroundings, people with enough insight will spot a thug. Although this doesn’t stop the tragedy of Elvis being exposed to Parker, and the rest of us now suffering with Cameron.